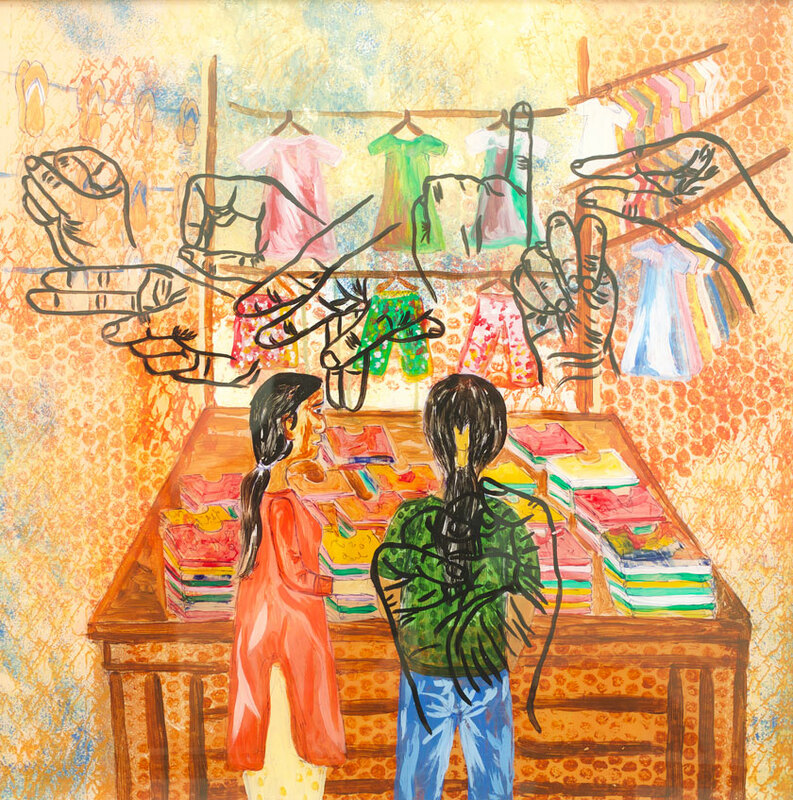 Manasi Bhallamudi (B. Manasi) is a Chennai-based painter born in 1991. She became interested in art as a young child and eventually became skilled in several painting techniques including acrylic, watercolors, pen and paper, and charcoal. She received a BVA in Fine Arts from Stella Maris College (Chennai) and a postgraduate diploma in Painting from Chitra Kala Parishad College of Fine Arts (Bangalore). 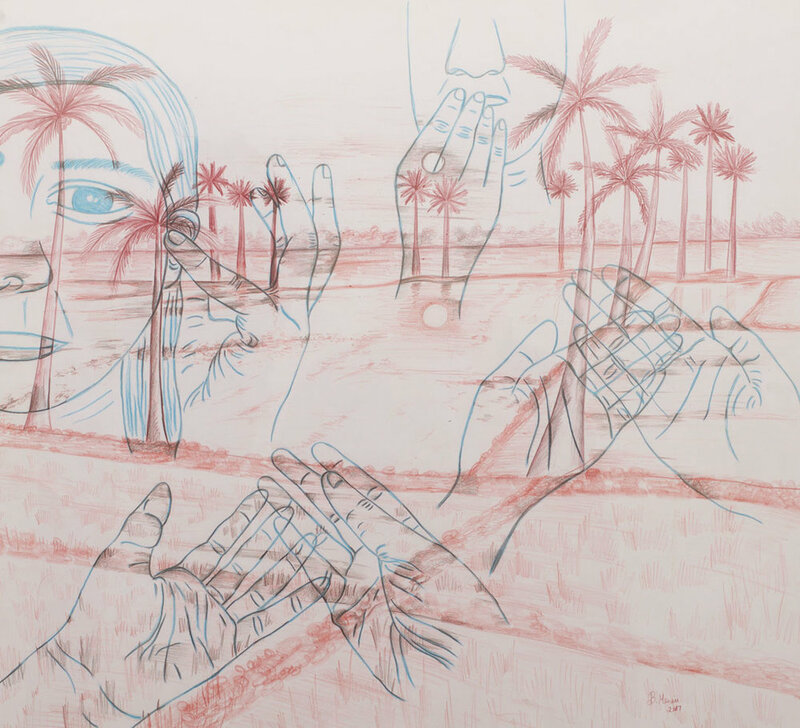 During and after her fine arts education, she participated in several group exhibitions. Notable among these are a show at Chitra Sante in Bangalore (2007) and the annual “Beyond Limits” exhibition at Arpana Art Gallery in New Delhi (2010-2017). She was also commissioned by a Chennai-based software company to produce several large paintings; the 13 resulting snowscape paintings now adorn the I-Flex Solutions corporate office. To date, she has sold more than 50 paintings. While Manasi is skilled in several painting techniques, she strives to achieve more and communicate a powerful message to the world. As a final semester project, she produced the “Signs in Life” series, in which she showed how sign language signs imitate real life. Her goal was to demonstrate how well sign language helps people with speech and hearing impairment to communicate with the rest of the world. Beyond her disability-focused art, she uses her knowledge of color mixing and composition techniques to depict India’s natural beauty through landscapes and city scenes. 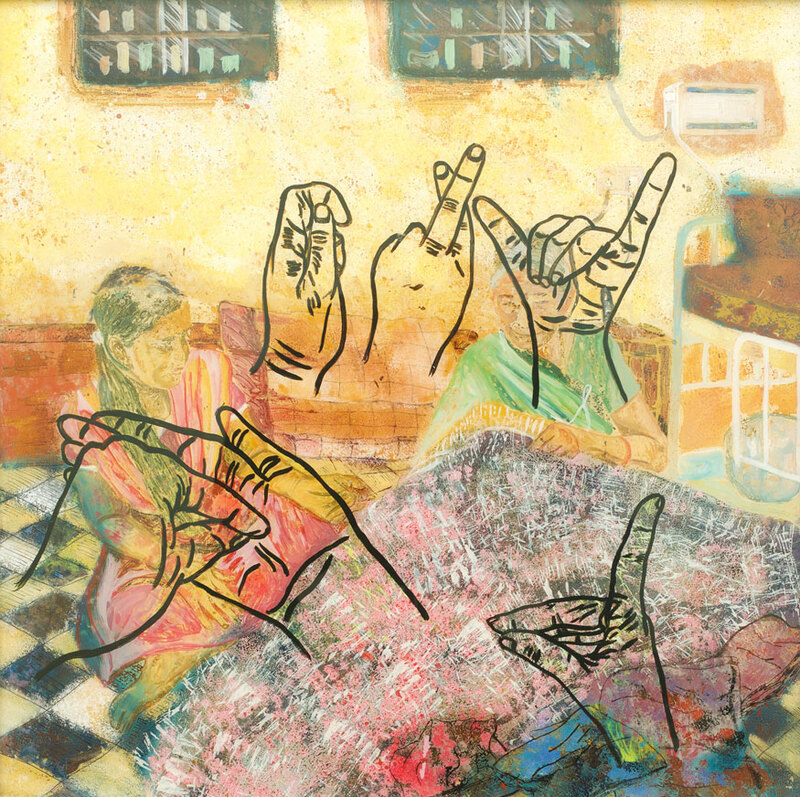 Manasi’s work gives a distinct and accessible view of India through the lens of disability. “Art Show by Students of Stella Maris College.” Mylapore Times, 21 Apr. 2015. Zachariah, Preeti. “Of Hues, Shapes and Textures.” The Hindu, 23 Apr. 2015.